October 13 is the anniversary of when approximately 5,000 members of the Templar brotherhood were arrested, then tortured and murdered under false accusations. The Poor Fellow-Soldiers of Christ and the Temple of Solomon (a.k.a. Knights Templar) were a military order that protected the Holy land and pilgrims traveling there. Through interactions with traveling pilgrims, and in their excavations under the Temple of King Solomon, they came into a great deal of knowledge. During the Inquisition, one of the many accusations against the Templars was that they venerated a severed head, and in fact many Templars did allude to the head of an old bearded man as the symbol of their Grand Master. The significance of the severed head is a curious similarity between Templars and a group known as Mandeans, for whom the head was a reminder of the martyrdom of the Holy Saint John the Baptist. Like the Mandeans, the Templars also held a tradition that John the Baptist, Jesus, and their parents were Essenes and guardians of the Priesthood of Melchizedek. The name Melchizedek means “teacher of righteousness.” In the Old Testament, Melchizedek is the High Priest who served the communion of bread and wine to Abraham. The Templars were the most powerful bankers of their time, and they accumulated great wealth. King Philip IV of France was deeply in debt to them, and sent a secret order to all parts of France to arrest all Templars at dawn on October 13, 1307. Their possessions and wealth were confiscated for the Royal Treasury. Jacques de Molay, Grand Master of the Order, Templars were tortured into making false confessions. When De Molay later retracted his confession, King Philip had him burned slowly at the stake. Over two hundred years later, in 1515, the Protestant ideas of Martin Luther were introduced into France. This was followed by a century of massacre and unrest. In 1534 a public poster campaign depicted Protestantism as “a religion of rebels” and as a heresy. In 1545 King Francis I ordered Protestants to be punished for dissident religious activities (the Massacre of Mérindol). In 1560 the French Protestants tried to gain power by abducting the young King Francis II. This led to the French Wars of Religion between the Catholics and Protestants, which lasted until 1598. During this time many French Protestants fled to Holland, England, Switzerland. Over 100 years later, in 1685, the Edict of Nantes, which granted religious freedom to Protestants living in Catholic France, was revoked. Over 100,000 Protestants left France. Many fled to North America. These French Protestants, also known as Huguenots, were the direct ancestors of America’s founding fathers, George Washington, John Adams, John Quincy Adams, Paul Revere (whose father was Apollos de Revoire), and Alexander Hamilton. In the same period immediately following the Wars of Religion, and amid these two great exits of Protestants from France, there were two important moments in the development of Masonry: First, in 1646 was the first known, recorded initiation of a speculative Freemason (the English antiquarian Elias Ashmole). Second, at the very end of the century, in 1696, came the oldest known Masonic rituals in the Edinburgh Register House Manuscript. The end of the Templar “Dark Period” in 1705 coincided with this important time. Then in 1717 the First Grand Lodge of Freemasonry was established in England. Between 1721 and 1732 Freemasonry was introduced into France. During this same period of the 1720s and 1730s the system of temple initiation is said to have been joined to Masonry. Masonry at this time was without any real structure and had only a small membership. Candidates were being received in increasing numbers, but the ceremonies were very brief and elementary, giving little idea of the aims and objects of the Craft. A certain Chevalier Ramsay thought that this was regrettable so in 1736 he wrote an Oration that had an effect on the course and development of Freemasonry like no other. Ramsay wanted to give candidates a reason to take pride in the Craft and in their heritage. He spoke of a connection between the Crusaders and Freemasons and said that after the Crusades, Prince Edward, the son of King Henry III of England, had brought the troops back to England where they took the name Freemasons. Furthermore, he said that from the British Isles, the Royal Art was now re-passing into France, which would become the center of the Order. This Oration is the beginning of what is known as Scots Masonry. Almost overnight France became deluged with all sorts of Masonic high grades, and degrees became associated with Knighthood. In 1756 certain Masons who were Templars withdrew from the Grand Orient of France. For a time there were two rival Grand Lodges. They eventually re-entered and influenced the Lodge of France. Until that time there had been an ancient hierarchic authority. 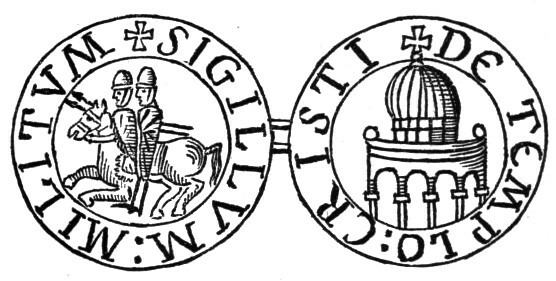 Under the influence of the brothers of the Templar rite, the lodges in France replaced this with a parliamentary regime and elections of officers. In this way, the brothers of the Templar Rite overthrew the rule that Lodge Masters cannot be removed and instituted a representative rule. This Masonic revolution against hierarchic authority is believed by some to have been a harbinger of the French Revolution of 1789. "May the grace of the Holy Spirit be present with us. May Mary, Star of the Sea, lead us to the harbor of salvation. Amen. "Lord Jesus Christ, Holy Father, eternal God, omnipotent, omniscient Creator, Bestower, kind Ruler and most tender lover, pious and humble Redeemer; gentle, merciful Savior, Lord! I humbly beseech The and implore Thee that Thou may enlighten me, free me and preserve the brothers of the Temple and all Thy Christian people, troubled as they are. "Thou, O Lord, Who knowest that we are innocent, set us free that we may keep our vows and your commandments in humility, and serve Thee and act according to Thy will. (Dispel) all those unjust reproaches, far from the truth, heaped upon us by the means of tough adversities, great tribulations and temptations, which we have endured, but can endure no longer. "Omnipotent, eternal God, who hast so loved the blessed John the Evangelist and Apostle, that he reclined upon Thy bosom at the Last Supper, and to whom Thou revealed and showed the Mysteries of Heaven, and to whom, while suspended on the Holy Cross, for the sake of our redemption, Thou commended Thy most Holy Mother and Virgin, and in whose honor (our) Order was created and instituted; through Thy Holy mercifulness, deliver us and preserve us, as Thou knowest that we are innocent of the crimes that we are accused of, so that we may take possession of the works, by which we may be guided to the joys of Paradise, through Jesus Christ our Lord. Amen."